Much of my ancestry is polish. My Great grandfather emigrated to the United states and then started his family here. My maiden name is utterly unpronounceable (except for once, when I met a Polish man, who was able to say it from reading it without hesitation) and I’ve got the nose to show for it. My husband’s family hails from the Czechoslovakian region, and several of my second cousins currently live, or have lived most of their lives in Austria. Why is any of this relevant? 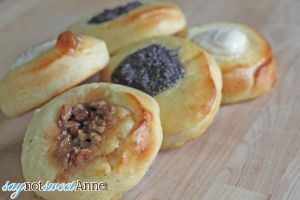 Well, this weekend hubby and I made a traditional Eastern European pastry called kolache (co-lah-CH). This is of course the americanized version of the word, which is slightly different in each of the countries that hold this dish as tradition. 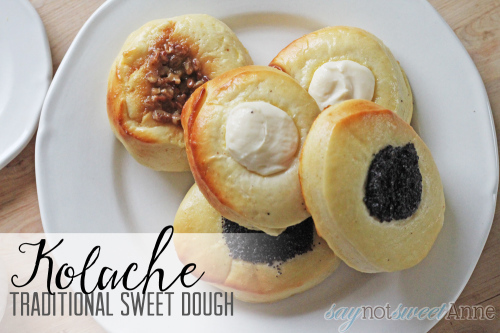 The basic premise is a sweet dough, with a long rise time and sweet jam-like toppings. It started with a vague family memory from my husband, backed up by a faded recipe card in my long-passed paternal Grandmother’s rusted recipe box. That lead to family discussions, shared memories, but no recipe. Then, my husband found this wonderful article by Tori Avey. 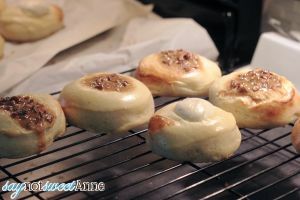 Not only does she discuss in depth the variations and subtleties in kolache and its origins, she provided a recipe. It took the better part of a day to put together this recipe – that is the nature of yeast breads- but the results were amazing! Hubby and I made 2 traditional fillings and one hodgepodge of caramel sauce and pecans. They were all SO GOOD. 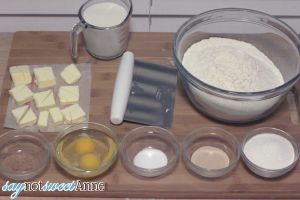 Combine yeast, milk, butter, eggs, sugar, salt and nutmeg in a large bowl. Slowly add in about 1 cup of the flour. We used our stand mixer and that worked well for us. 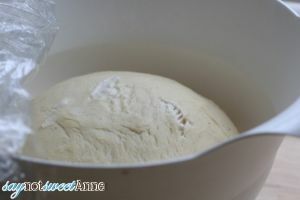 Slowly add the rest of the flour be increments, until a dough forms. 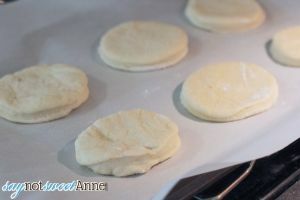 Knead the dough on a lightly floured surface (or with a break hook in your mixer) until it springs back with poked or pulled. About 5 minutes. 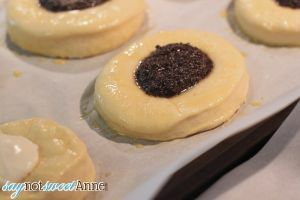 Lightly coat with oil in a clean bowl, cover loosely and allow to rise until doubled. About 3 hours. 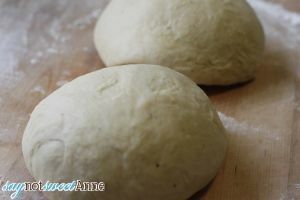 Once doubled, punch down the dough and let rise again until doubled. About 1 hour. Punch down the dough a third time, and then divide into workable sections (in half or thirds) let the dough rest for about 10 minutes, and then roll out one section to 1/2 inch thick on a floured surface. Use a circle cutter to cut 2 inch rounds. 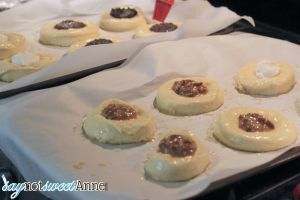 Place rounds on a cookie sheet lined with greased parchment paper, loosely covered until doubled. About 1 hour. 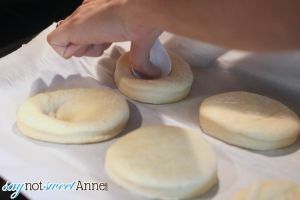 Using the back of a round tablespoon or your knuckle, create an indentation in the center of each round. Brush with a simple egg wash and then fill with 1tbs of filling. We use a small melon-baller/disher to evenly portion the fillings. Bake on the center rack for 12-14 minutes, or when golden brown and bread is cooked through. Let cool on a rack and devour! Combine all ingredients in a bowl. Done! 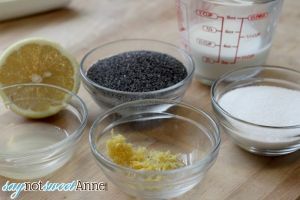 Blend all ingredients with a hand blender or a stiff spoon until light and fluffy. If possible, grind the seeds. We didn’t and the texture was sort of like eating a mouth full of candy pearls. 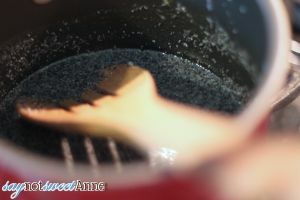 You can try grinding in food processor or coffee grinder. Over medium heat, simmer the mixture until it begins to thicken, 8-10 minutes. Let cool (mixture will thicken further). It was so fun to spend the day making something that was so closely held in memory for so many people in our families! We can’t wait to make more and bring them to the next family gathering. ← Baby on the Way, with Pampers®.